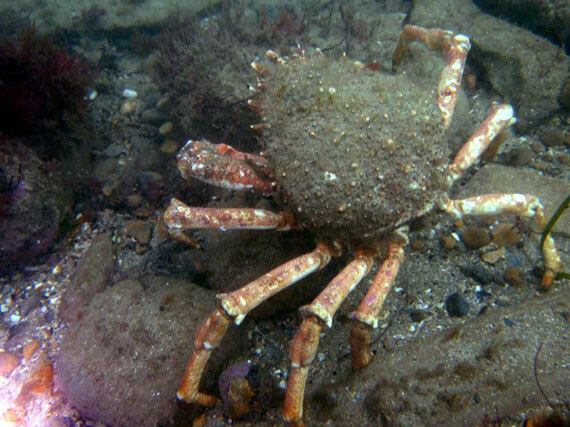 The arthropodic Spider Crab, or Hyas araneus is another seasonal visitor to recreational depths, usually between Spring and Summer. And when they’re in town, they’re really in town – it’s not unusual to see swarms of them falling over each other as they make their way to the shallows. Divers documented a recent mass migration into shallow waters around Cardigan Bay in Wales, for example. 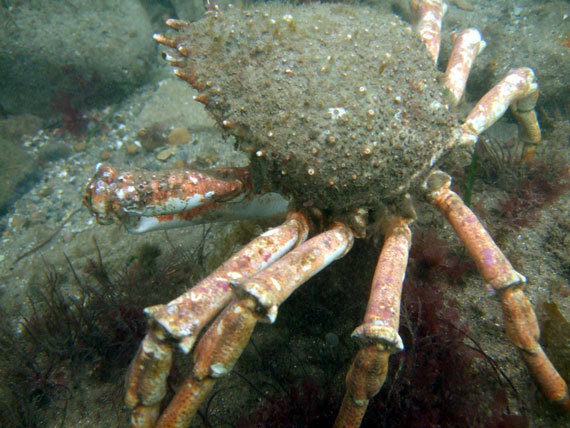 If you’re finning across the bottom, watch out where you put your hands: although up to 110mm in size Spider Crabs typically have a shell encrusted with seaweed, barnacles and other hangers-on, which can make them difficult to spot, despite their considerable size. And they don’t take kindly to being poked. 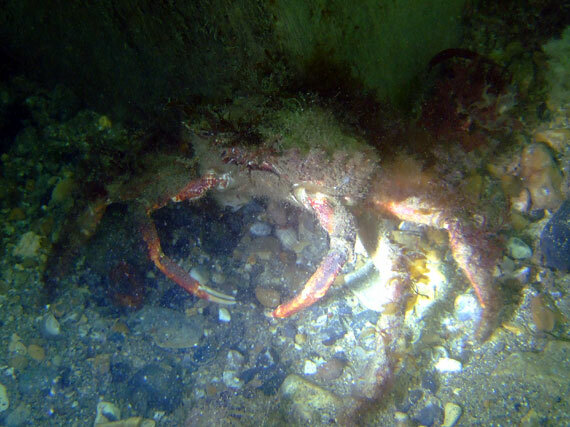 Although not a mainstay of our diet over here, Spider Crabs taste rather good and not one to miss a commercial opportunity, UK fishermen catch around 5,000 tonnes annually.